If you’re coming for Night of Lights on November 22, you’ll want to make reservations at a downtown hotel NOW. One of the beauties of staying downtown is that you can park your car and walk to a number of attractions (more on that further down), restaurants and shopping. If you’re coming for more sports-oriented or other events at the Memorial Coliseum, browse the Visit Fort Wayne listing and sort according to your needs! 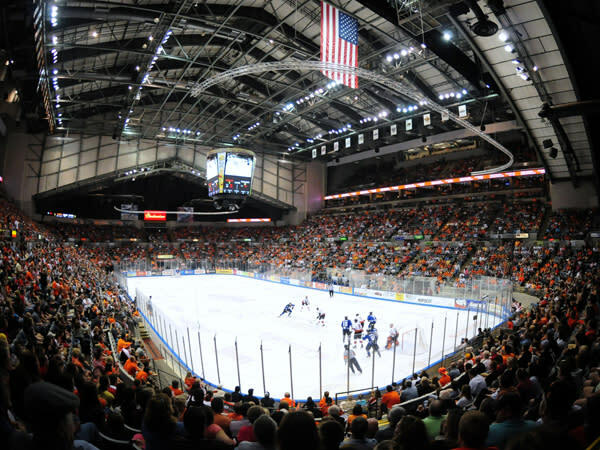 Some hotels have special packages for sports fans, such as followers of the Komets, so be sure to check out the various deals available. There’s about every kind of food available in Fort Wayne that you can think of, so eating will not be a problem. Gaining weight….well, that might be another story. Discover the growing Fort Wayne food and brewery scene, and set on your dining adventures with the help of Visit Fort Wayne&apos;s Best of Dining page. Let’s get to the heart of the holidays. 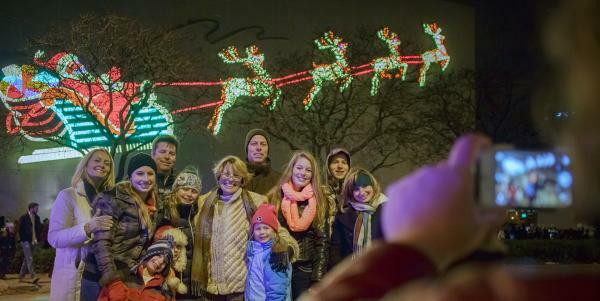 The night before Thanksgiving is the annual kick-off to Fort Wayne&apos;s Holiday celebration called Night of Lights, and Fort Wayne does it right! Beginning at 5:30 p.m. at the History Center, with the lighting of the turret on the former City Hall, you can traverse a good share of downtown and follow the lights as they are turned on to celebrate the season. Stops include Aunt Millie’s, PNC Bank, the I&M Plaza, Ash Skyline Plaza, Botanical Conservatory, Embassy Theatre, and a fireworks show at Parkview Field rounding out the evening. Dress warm, wear comfy shoes, make a few stops for cocoa and other goodies and be sure to capture the looks of awe on your children’s faces. 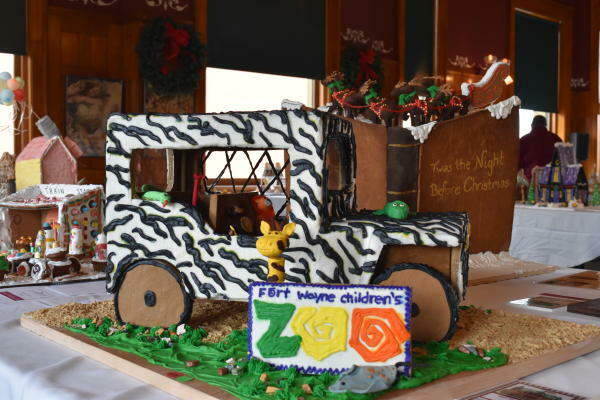 The History Center’s Festival of Gingerbread opens on November 25 and runs until December 10. It is truly amazing what you can do with food as the creators of these houses demonstrate. It’s fun for all ages…something you don’t often see… and you get to wander the museum also with your admission. 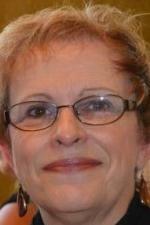 Since moving to Fort Wayne, we’ve had the pleasure of learning more about the ballet from our friend Karen Gibbons-Brown, the executive/artistic director of the Fort Wayne Ballet. 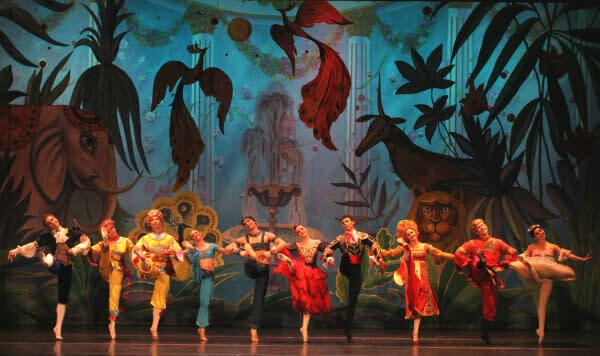 The ballet presents the Nutcracker every holiday season at the Arts United Center and the work that goes into these performances is amazing. Sugarplum parties follow the matinees, so if you have an aspiring dancer in your house, consider attending those too! In addition to the Festival of Gingerbread, there’s also the Festival of Trains at Science Central, Snow Days at the Botanical Conservatory, Festival of Trees at the Embassy Theatre, and a holiday window decoration contest all over downtown. I’d be remiss if I didn’t also point out the City of Churches Tour on Friday, December 8. Fort Wayne is known as the City of Churches and this is an opportunity to visit some beautiful and historic structures, listen to amazing pipe organs and see another side to the history of our community. The event is free but tickets are required. If you like theater, First Presbyterian Theater will be doing a production of A Christmas Carol, the Fort Wayne Youtheatre will present A Charlie Brown Christmas, Fort Wayne Civic Theatre presents White Christmas and the Embassy Theatre will host Rudolph the Red-Nosed Reindeer the Musical on December 14. Of course, music is a highlight of the holiday season, and Fort Wayne does not fail to provide. 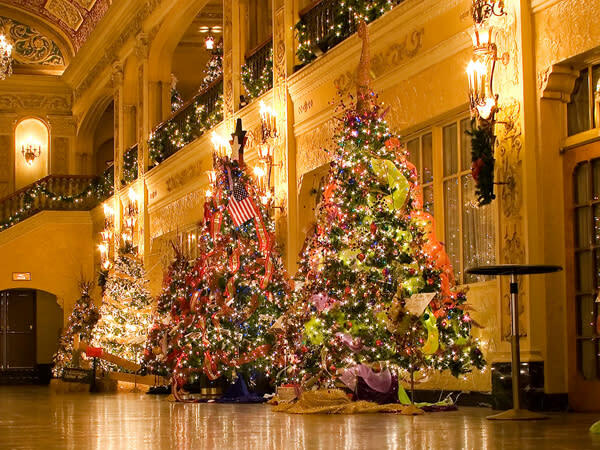 The Moscow Ballet and the Fort Wayne Philharmonic will also be in on tap for the holidays at the beautiful Embassy Theatre! Heartland Sings is a group of talented, local singers who will have three different kinds of performances in December including Jingle Bell Jazz at C2G Music Hall, and the Spirit of Christmas at the Allen County Courthouse, one of our city’s gems. Wow! That’s a lot, but it’s not all. 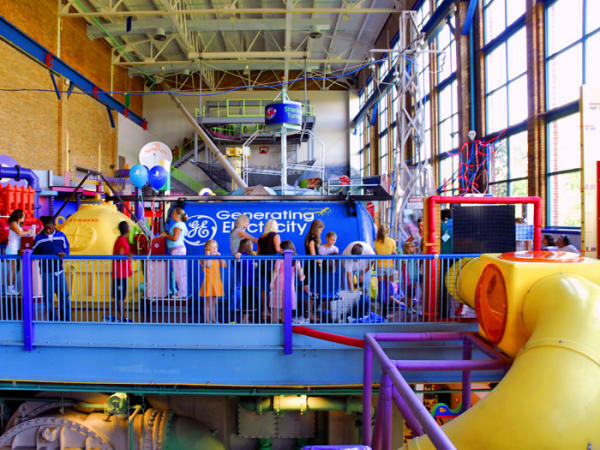 At a recent luncheon with friends, they suggested checking out Parkview Fieldhouse and Parkivew/SportONE Icehouse, Sky Zone, UltraZone and Lazer X. You can also ice skate at Headwaters Park and if you’re into hiking, weather permitting, Fox Island and ACRES Land Trust should have areas where you can explore the great outdoors. Sports fans can also take in a TON of games at the Memorial Coliseum like Mad Ants Basketball, Komets Hockey, and on February 4 the Harlem Globetrotters! Now, the mom in me would be remiss if I didn’t suggest activities that provide a little education for the kids while they’re having fun. Science Central has come up with a great activity to do just that over the holidays. Going on right now until January 7, 2018, is the Spiders!, where kids of all ages can celebrate the beauty and mystique of spiders. The exhibit features nearly 100 live arachnids, incredible photos, and interactive stations. As you can see, there is NO reason to be bored when plenty for you to explore visit Fort Wayne over the holidays….or any other time of year for that matter. 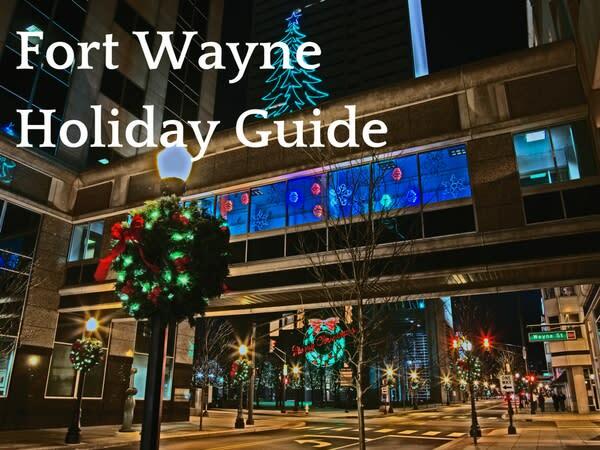 Now that you&apos;ve discovered all that Fort Wayne has to offer during the holidays, don&apos;t wait to start planning your visit!